Our faith gives witness to a God who is worthy of our trust and invites us to model this confidence to those around us. Explore a few key Bible passages that teach us to surrender to the power of divine love and rely on the God who created and redeems us. John F. Craghan is professor emeritus of religious studies at St. Norbert College in De Pere, Wisconsin. He is North American editor for Scripture in Church (Dominican Publications) and is the author of numerous books, including I Was Ill and You Cared for Me: Biblical Reflections on Serving the Physically and Mentally Impaired; Psalms for All Seasons; And the Life of the World to Come: Reflections on the Biblical Notion of Heaven; and The Gospels of the Weekday Lectionary, all published by Liturgical Press. 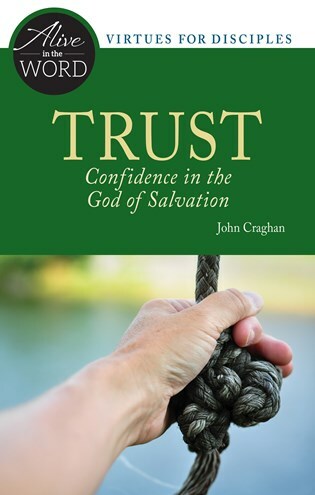 In this addition to the very attractive Alive in the Word series, John Craghan reflects on the biblical motif of trust. This books is perfect for individual spiritual reading or group Bible study.